Have you heard the expression, “The devil’s in the details”? It means that a task or idea sounds simple but becomes complicated as you encounter problems and difficulties. This phrase also expresses what many Christians believe about the devil. Some Christians think that Satan is interested and involved in the details of their daily life. They blame him when something goes wrong, make him responsible for sins and mistakes, and attribute any negative thought or emotion to him. 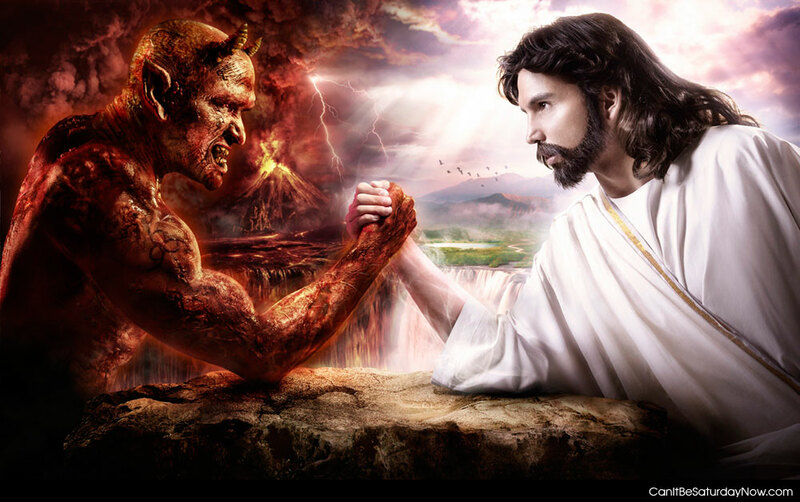 In fact, it seems like Satan is more involved in their lives than Jesus! Our conscience accuses us. Satan accuses the church (Rev. 12:10) but he does not accuse individual believers. Rather, our conscience accuses us and “our hearts condemn us” because we know that we are sinful and disobedient (Rom. 2:15; 1 John 3:20). Praise God that through the blood of Jesus He is willing and able to “cleanse us from a guilty conscience” (Heb. 10:22; 9:14)! Our flesh tempts us. Satan tempts the church (1 Thess. 3:5) but he does not tempt individual believers. Rather, “each one is tempted when, by his own evil desire, he is dragged away and enticed” (Jas. 1:14). We are tempted by our own sinful desires and bodily cravings. Praise God that in Christ we have crucified and been circumcised of our sinful nature (Gal. 5:24; Col. 2:11)! The world corrupts us. Satan corrupts the church but he does not corrupt individual believers. Rather, the sinful world in which we live corrupts us. This is why “religion that God our Father accepts as pure and faultless is…to keep oneself from being polluted by the world” (Jas. 1:27). Praise God that He has given us all we need to “participate in the divine nature and escape the corruption in the world” (2 Pet. 1:4)! Demons harass us. Satan harasses the church and strategic individuals (e.g. Eve, Job, Jesus) but he does not harass individual believers. Rather, demons harass us through those whom they possess or who teach their false doctrines (1 Tim. 4:1-2). Demons are sinful, fallen angels, and thus angels’ wicked counterparts. Just as angels minister to God’s people and accomplish His purposes, so demons harm His people and accomplish Satan’s purposes. We should not neglect what the Bible says about Satan but we should not go beyond what it says about him either. He is a real person who is alive and active in the world but he is not involved in the lives of individual believers. For some reason, we want him to be more involved in our lives than he actually is. We must stop making everything his fault and giving him credit he does not deserve. The devil is not in the details of your life. Peter calls Satan our enemy or adversary in 1 Peter 5:8. Although the possessive adjective “your” is plural, the “someone” who he warns may be devoured is singular. Maybe. But even if this is true, does that mean Satan is my personal enemy? Does he stalk each and every Christian personally? No, his opposition to God’s people seems to be more general than that. We should think of him as opposing all of us in general rather than each and every one of us in particular.